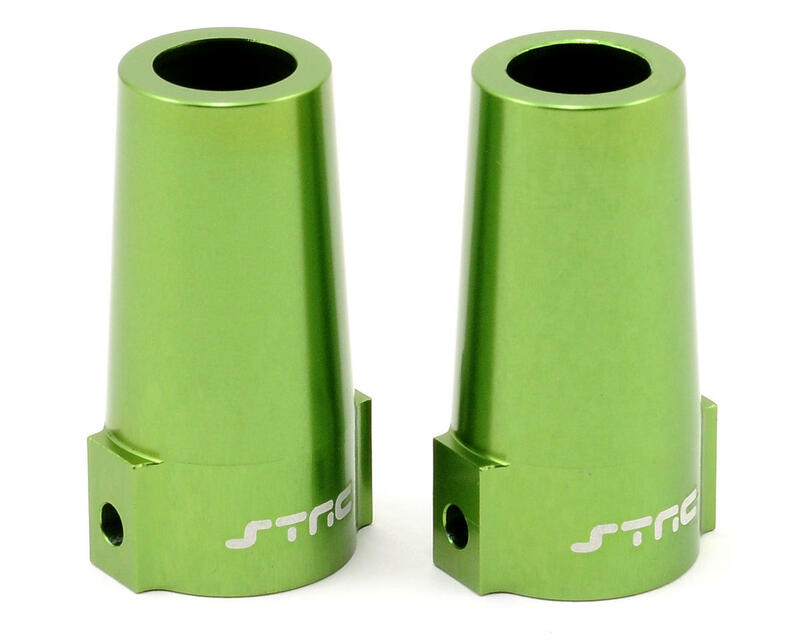 This is an optional ST Racing Concepts CNC Machined Aluminum Rear Lock Out Set, and is intended for use with the Axial Wraith. These rear lock outs add great looks to your Wraith, and are much stronger than the stock plastic parts included with the kit. 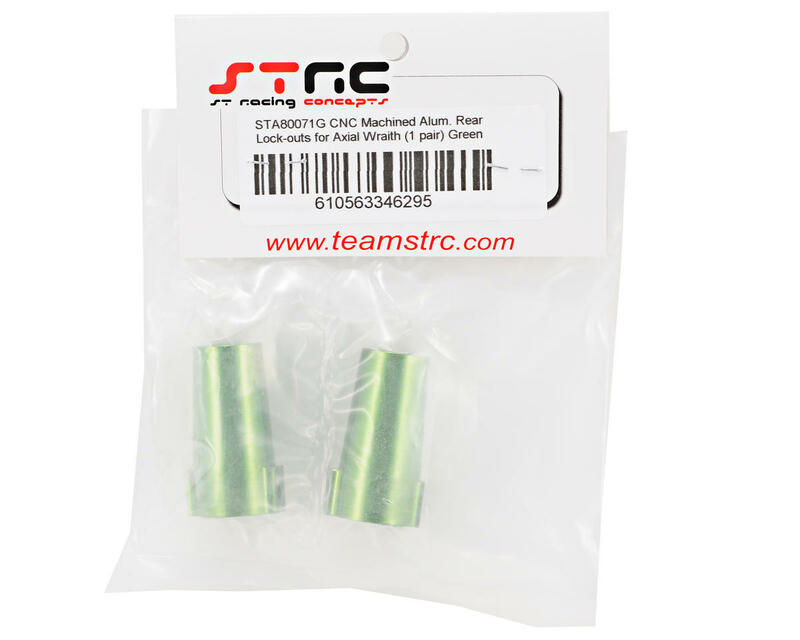 This is a important upgrade if you choose to install a more powerful motor in your Wraith.